Start off your visit on the 22nd (Fri): take in the views from Lumberjack's Candle Bridge, hit the slopes at Ounasvaaran Hiihtokeskus Oy, and then try your luck at Feel Vegas - Club Rovaniemi. On the 23rd (Sat), you'll have a packed day of sightseeing: see the interesting displays at Christmas House Santa, then take a memorable tour with Feelapland, and then admire the masterpieces at Korundi House of Culture. To find reviews, maps, ratings, and other tourist information, use the Rovaniemi travel route builder . Hannover, Germany to Rovaniemi is an approximately 9.5-hour flight. You can also drive. The time zone difference when traveling from Hannover to Rovaniemi is 1 hour. Traveling from Hannover in February, you will find days in Rovaniemi are cooler (-6°C), and nights are a bit cooler (-11°C). Finish your sightseeing early on the 23rd (Sat) to allow enough time to drive to Akaslompolo. 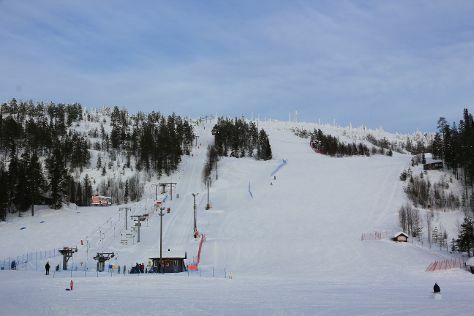 On the 24th (Sun), get outside with Scandinavian Adventures and then tour the pleasant surroundings at Yllas Ski Resort. To see traveler tips, where to stay, and more tourist information, read our Akaslompolo online trip planner . Getting from Rovaniemi to Akaslompolo by car takes about 2.5 hours. Other options: take a bus. In February, daytime highs in Akaslompolo are -5°C, while nighttime lows are -12°C. Finish your sightseeing early on the 24th (Sun) to allow enough time to drive to Levi. 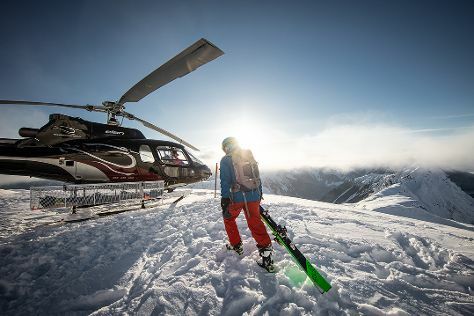 Step off the beaten path and head to Elan Ski Shop & Rental and Inghams Mini Husky Experience. Step out of the city life by going to Nature & Wildlife Tours and Levi Ski Resort. There's lots more to do: wander the streets of Ounasjoki - River for activities, admire all the interesting features of Ice Karting Levi, get your game on at Kid's Land, and relax in the rural setting at Ounaskievari Reindeer Farm. To find traveler tips, where to stay, and tourist information, use the Levi trip planner . Getting from Akaslompolo to Levi by car takes about 1.5 hours. Other options: take a bus. Expect a daytime high around -5°C in February, and nighttime lows around -12°C. Wrap up your sightseeing on the 27th (Wed) to allow time to travel to Salla. Salla is a municipality of Finland, located in Lapland. Start off your visit on the 28th (Thu): hit the slopes at Salla Ski Resort, steep yourself in history at Paikanselan Taistelualue, and then learn about all things military at Salla Museum of War & Reconstruction. To see ratings, other places to visit, where to stay, and tourist information, read our Salla trip planner . Drive from Levi to Salla in 3.5 hours. Expect a daytime high around -6°C in February, and nighttime lows around -13°C. Finish your sightseeing early on the 28th (Thu) so you can travel to Luosto. Kick off your visit on the 1st (Fri): look for all kinds of wild species at Kopara Reindeer Park. Getting from Salla to Luosto by car takes about 2 hours. In February in Luosto, expect temperatures between -5°C during the day and -13°C at night. On the 1st (Fri), wrap the sightseeing up by early afternoon so you can travel back home.